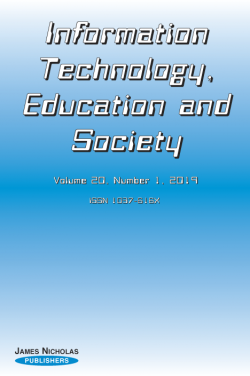 Information Technology, Education and Society is a new fully-refereed international journal which focuses on major and current issues in information technology and its relation to education and society. The journal provides a forum for original articles from throughout the world which analyse and explore sociological and educational issues related to new and changing technologies. Contributions include theoretical papers, research reports, essay reviews, and reports of innovation and practice in information technology in education in both schools and higher education. The importance of debate and discussion in this developing field is reflected in the journal’s inclusion of response papers and essays. A special section Speculations is devoted to articles of reflection and opinion. Is the use of Digital Technologies (ICT) in the classroom a positive influence on student motivation and learning? about Information Technology, Education and Society.